Happy Customers! It makes it all worthwhile!! Ella Lavery from Castles was excellent at all stages of process from viewing to completion. Very pleased with all the support and efficiency. Thank you for all your assistance. We moved in August 2018 from our home of 32 years. 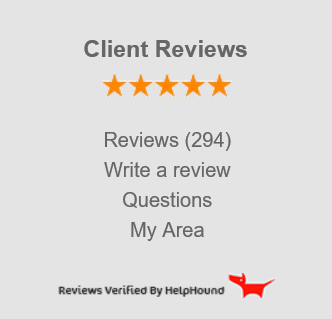 We did initially have reservations about choosing a high street Estate Agent to market our property because the on-line companies appeared to offer great value for money. However, after much consideration we chose to contact Castles Estate Agent based on the personal recommendation of a family member. From the very first meeting with Michael Johnston,we had total faith that Castles would represent our interests fully and take good care of us throughout what can sometimes be a prolonged and stressful process. We were not disappointed, Michael worked tirelessly on our behalf and secured us a buyer very early in the process and at a price that we were extremely happy with. Michael kept us fully informed throughout the whole buying and selling journey to ensure that a smooth and seamless sale and purchase was achieved.We were completely over the moon with the service we received and therefore have no hesitation at all in recommending Castles. A great big thank you from us. I had anticipated that my property might take some months to sell, so I was absolutely delighted to have viewings within a couple of days of Castles putting it on the market and to have accepted an offer within less than a week ! The way the whole thing was handled by Castles was very professional from start to finish. I thought that the way that the property was marketed maximized the chances of success and I felt that the advice I was given was honest and realistic throughout. Above all, I really liked the personal service I was given by Castles, something which I felt was lacking in some of the larger estate agents. In summary, I am a very satisfied customer and have absolutely no hesitation in recommending Castles.